Did you know that you can get an Air Conditioning Maintenance Plan for your Fort Myers home to help you save this summer? These affordable maintenance agreements can help you save in many ways and they provide some other major benefits too. It makes sense to get air conditioning maintenance. Every machine needs maintenance if you expect it to work right and last as long as it should. Why not save money on the cost of breakdowns and repairs by making sure you have a maintenance plan in place? Here's how they can help you save. Cuts down repair costs – Fixing low refrigerant levels and clogged condensation lines are two of the most common air conditioning repairs. With a maintenance plan, you can often get this type of repair for no charge as a regular part of the system check. Gives you discounts or free services - You can save significantly if the air conditioning maintenance plan contains discounts or free services such as 5% on repairs or up to 2 lbs of free refrigerant per year. Avoids early replacement costs – It costs a lot to replace your air conditioner, so it's work investing in the necessary maintenance to make it last as long as possible. If you keep it in good shape with an affordable maintenance plan, you won't be footing the bill for an air conditioning replacement this summer. There are different types of air conditioning maintenance plans available, so it's worth looking around. The benefits offered will vary between air conditioning companies. At Bowen Cooling, we offer you three different plans because we know people have different needs and incomes. Obviously, the higher tier plans offer you more for your money. For instance, 2 pounds of refrigerant on our Platinum Plan Maintenance Agreement is free per year. This is usually a service repair call that you pay full price for. There are many other perks on this plan as well. Do your homework when looking at maintenance plans between air conditioning companies and make a decision that's right for you. Most air conditioning maintenance plans include a free tune up during both the cooling and heating season. A tune up will help your Fort Myers HVAC system to run at it's best efficiency, which relates to energy bill savings, and it will make the equipment last longer. Tune ups also include the documentation of the maintenance, which is important to keep the air conditioner warranty valid. 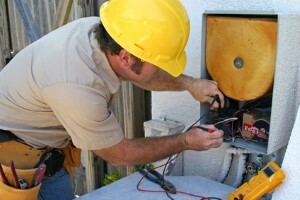 With most air conditioning maintenance plans, you enjoy free priority placement for emergency A/C repairs. Not all offer this benefit, so it's worth reading the details of the maintenance agreement before you choose a Fort Myers air conditioning company.